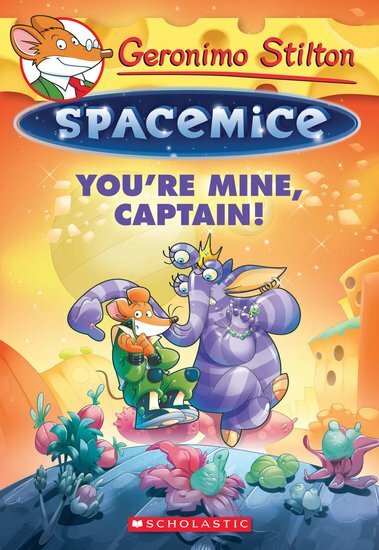 Geronimo Stilton Spacemice #2: You're Mine, Captain! Star Trek in a galaxy with a moon made of cheese. Red alert: Stiltonex has an admirer! Geronimo Stiltonix is the Geronimo Stilton of a parallel universe. As captain of the spaceship MouseStar 1, he boldly goes where no mouse has gone before. But when our rocket-riding hero helps some aliens from the planet Flurkon, their alien queen becomes enchanted with Geronimo. In fact, she wants to marry him! This keen queen isn’t taking no for an answer. Will Geronimo be forced to stay on Flurkon forever? Big chuckles, amazing colour pics and epic fun at super-warp speed.